What Is Your Position Of Strength?. “I feel it. Why should I hide it? And why should you troll me if I don’t?” – Katie’s poem, spoken word poetry performed by Aastha Singh at the #PositionOfStrength event. This line of poetry by Aastha Singh sums up the essence of #PositionOfStrength as an initiative which aims to empower women to raise their voices using a platform like Twitter and doing so without fear of being harassed and abused online. #PositionOfStrength was organised by Twitter with Breakthrough India on 28th July 2017 at Anti Social, Hauz Khas, New Delhi. The main focus of the event was to engage young people in a conversation around the issue of online safety and how they can leverage Twitter as a platform to raise their voices. We had a mixed group of young college students, Twitter influencers (people who have used Twitter actively), representatives from the Delhi cyber crime cell, representatives from organisations who have been working on the issue of online safety and some media representatives. Mahima Kaul (@misskaul), Head – Public Policy & Government @TwitterIndia was present at the event and shared with the attendees about Twitter’s journey as a platform, the potential it holds, how people have leveraged the platform to amplify their voices and the Twitter policies and features in place which tackle the issue of online safety. There are 328 million active users on Twitter currently. The number presents in front of us the huge potential that a platform like Twitter holds and how for a woman, it can be an empowering journey to be present and use such a space. However, as of now only 29% of Twitter users are women and this is the number we need to push. Sonali Khan (@sonalikhan), Vice President and Country Director – @InBreakthrough set the tone for the event when she spoke about how “The #PositionOfStrength is empathy”. She raised a very pertinent and rather uncomfortable question when she asked the attendees whether it’s possible for us to empathise with a troll. Is it possible that a troll is also a young person living with vulnerabilities like us? Will walking in someone else’s shoes help us have deeper, honest conversations? While she acknowledged that these are not questions we can expect immediate answers to but are definitely questions we need to ask ourselves. One of the most interesting segments of the event was when the representatives from the Delhi Cyber Cell (@DCP_CCC_Delhi) took over the stage and engaged in a discussion with the audience. They shared with the participants about what their work at the cyber crime cell entails and how the participants can reach out to the cyber cell in case of need. A young student spoke about how in her experience, the cyber crime cell had not been receptive to a complaint. It was interesting to see the creation of a space where such a conversation was possible. We were joined by three Twitter influencers who spoke to the participants about how they have used Twitter and what Twitter means to them as a platform. Shambhavi Saxena (@Shamwoo), a Features Writer @youthkiawaaz and @thecakeofficial spoke about how she had her awakening on Twitter as the platform gave her the space to talk about her politics. Another interesting aspect that she brought out was how a lot of people are responding online hate and negativity using creativity on Twitter and that is something that inspires her. 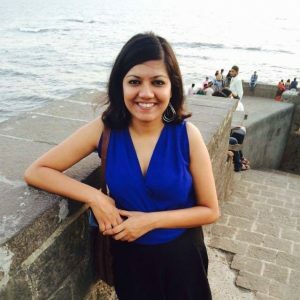 Tanzila Anis (@aaliznat), works with RED FM Delhi and has been on Twitter since the beginning. She shared that as a poet and singer, she uses Twitter to express herself creatively and also partakes in a lot of political conversations online. Abhishank Babbar (@ABsolutBabbar) works in one of the largest digital agencies in the world. He spoke about how he uses Twitter for his brand and platform called Buzz Continuum and engages with the youth globally on topics ranging from superheroes, comic books, films and wrestling. Another powerful segment was the one where we had a group of spoken word poets perform. Strong verses like “Demand a real conversation in an exhausting anonymous crowd” caught the participant’s attention and set the atmosphere for everyone to engage and connect with each other by sharing their thoughts. Also, while the participants were engaged offline at the event, they along with the larger community out there were engaged online tweeting, sharing tweets of empathy and their #PositionOfStrength. It was a day of some very interesting discussions. However, the one aspect which we feel deserves the spotlight was when our participants started engaging with one another, sharing lived experiences, raising questions and listening to each other empathetically. These moments were our #PositionOfStrength when we saw day long conversations culminate into a safe inclusive space.